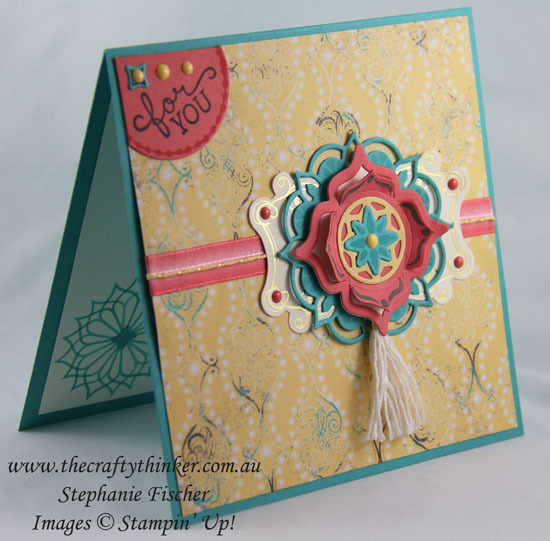 Continuing my combination from last Friday of the Eastern Beauty Bundle with the Cupcakes & Carousels paper and embellishments, I created this card. This is a thank you card for one of our incredible staff members who so regularly go "above and beyond" that it would be easy to take it for granted. 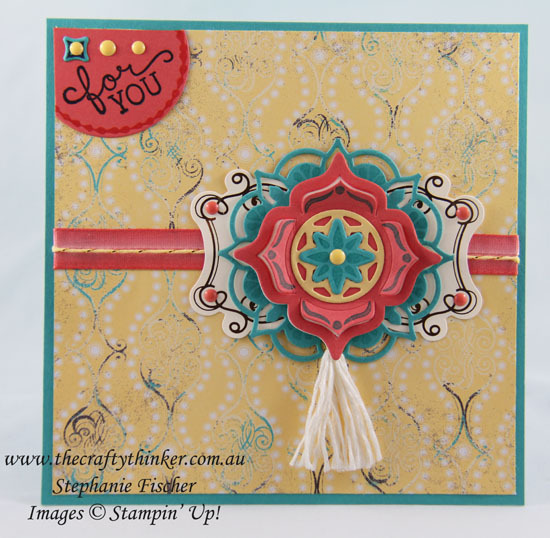 I used the Cupcakes & Carousels Embellishments as well as some of the Designer Series Paper.